Police said a fifth case of contamination has been reported. IT HAS been a week which Kevin Tran will not forget anytime soon. And the whole debacle is far from over. 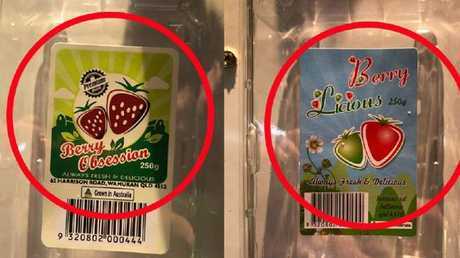 Queensland chief health officer Jeanette Young has also given a fresh warning - advising anyone who bought Berrylicious and Berry Obsession strawberries in Queensland, NSW or Victoria early last week to cut them in half before eating them. But as worried customers throw their berries in the bin, the heartbreaking effect of the major recall on Aussie farmers has been laid bare. This week’s recall has devastated strawberry farmers. 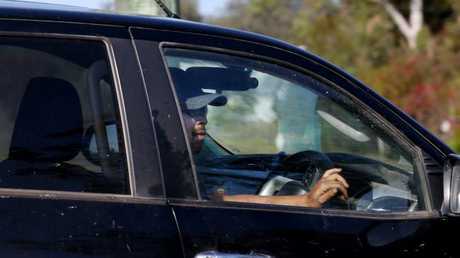 As Mr Tran was papped by the press at his farm in Wamuran, Queensland yesterday, he said he just wants answers like everybody else does. "I don't know, because the problem is there's so many people handling the fruit all the time, and packing, so I cannot say where it happened," he told a Channel 9 reporter. "I don't know anything, at this stage, I don't know anything, I'm like you guys, I want to find out." 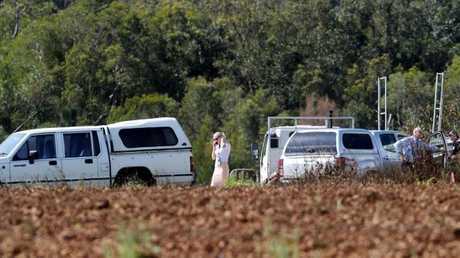 The major scare has not only damaged his farm's reputation, but also the entire strawberry industry which is suffering because of low prices. It couldn't have come at a worse time for the industry as supermarket giants, Coles and Woolies have been flogging the popular berries for just $1 a punnet. The bargain basement prices are due to a record oversupply of smaller berries that do not meet retailers' demand for extra large fruit. So, after months of picking and planting, devastated farmers have seen hundreds of thousands of berries simply go to waste. After the devastating phone call she walked through her family's packing shed that same night and filmed the trays of rejected small berries that had been emptied into drums for disposal. "Our waste has hit such a crisis today … it's just devastating," Ms Schultz told her Facebook followers. "A lot of growers are feeling the pressure at this time of year. 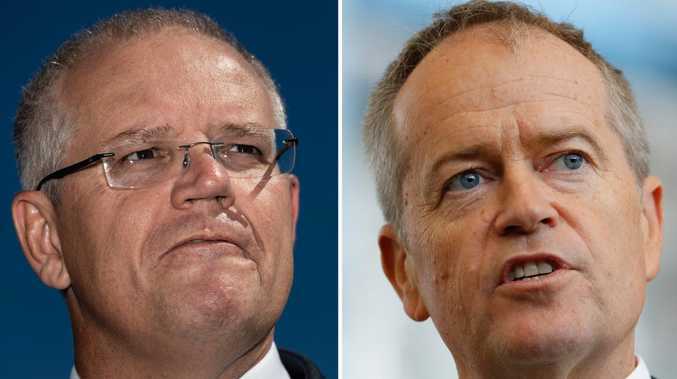 We'd be lucky at the moment to get between $3-4 a kilo," Mr Schultz said. "We're nearly at that point of cost of production being greater than what we're selling them for." 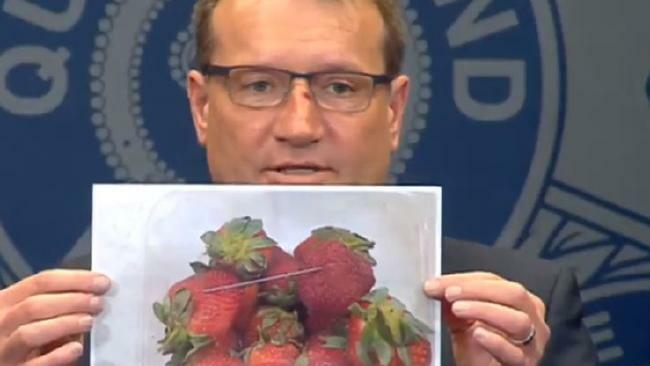 Meanwhile, police are looking at possible copycat attempts to sabotage strawberries across Australia's east coast after a metal rod was found placed in a package in Queensland. 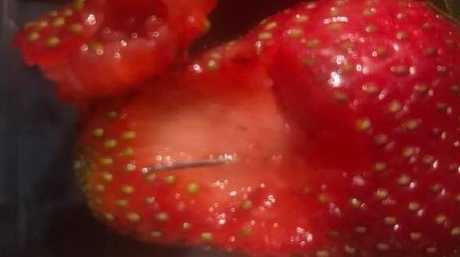 The disturbing discovery was made by a Coles employee who saw the dangerous object inside a punnet of strawberries at a shop in Gatton, west of Brisbane yesterday. It was the fifth shocking incident to be reported this week. Realising her son had strawberries in his lunch box she immediately called his school. "I said I need you to stop him from eating the strawberries. It wasn't five minutes later they rang back and said it was too late, he'd actually bitten into it," she told 9 News. "We want everybody to check their strawberries before consuming them … just cut them up, have a look," Supt Lawrence said. "At this time, (we) have reason to suspect that a disgruntled ex-employee may have orchestrated the occurrence, wherein sewing needles were found in a number of strawberries, in Queensland and Victoria," a statement from the association said. However, police have cast doubt on this theory.